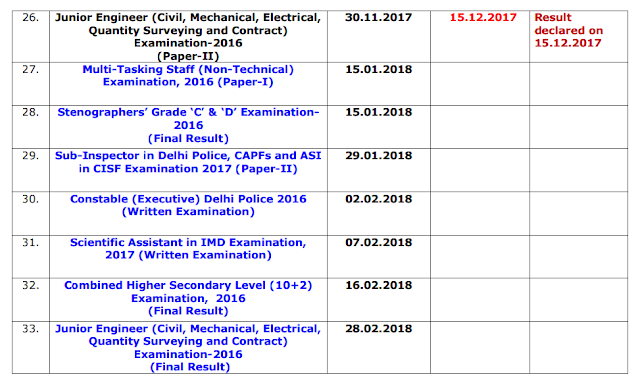 SSC Status Report as on 22.12.2017 of Results to be declared by the Commission - Check here official PDF of Result Status of exams held. 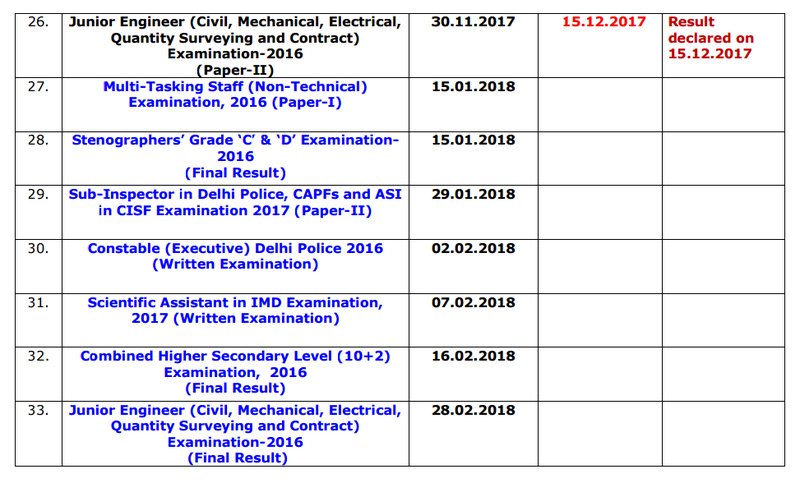 Staff Selection commission has released Official Notice on SSC Status report published on 22.12.2017. In this SSC status report important dates for upcoming results for various examination are shared by SSC.